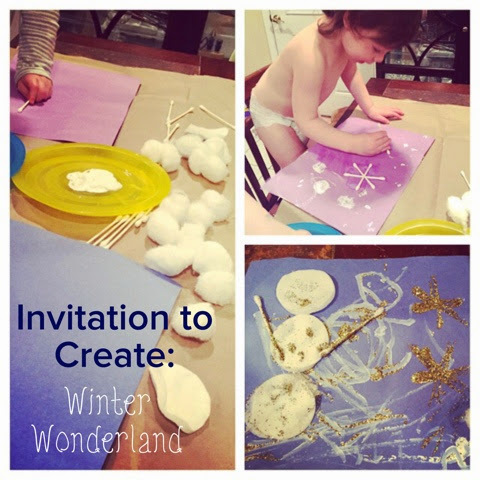 I did a quick bathroom raid to find some wintery-looking materials for a simple invitation to create. 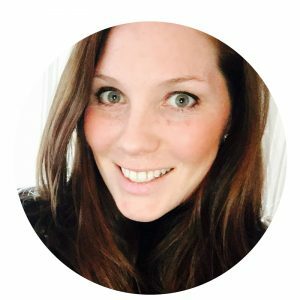 I love just setting out some small loose parts and seeing what the kids can produce! 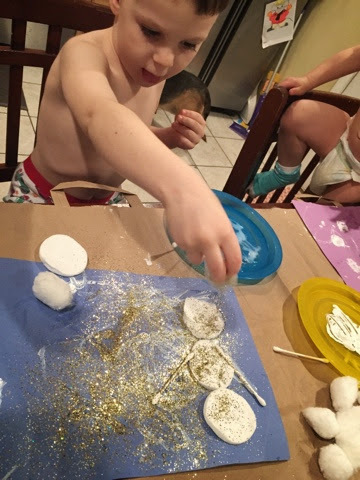 I found some cotton balls, rounds and Q-tips, white paint and glue…and of course some glitter! 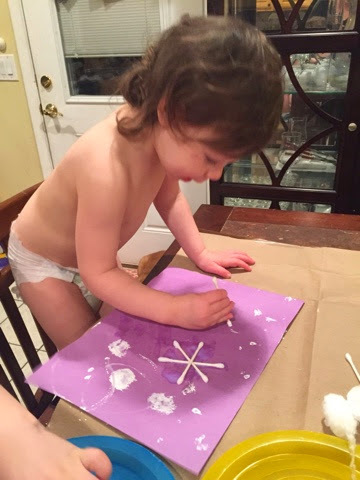 Ava got to work using the q-tips and cotton balls as paint brushes. Her artwork looked very much like snow! 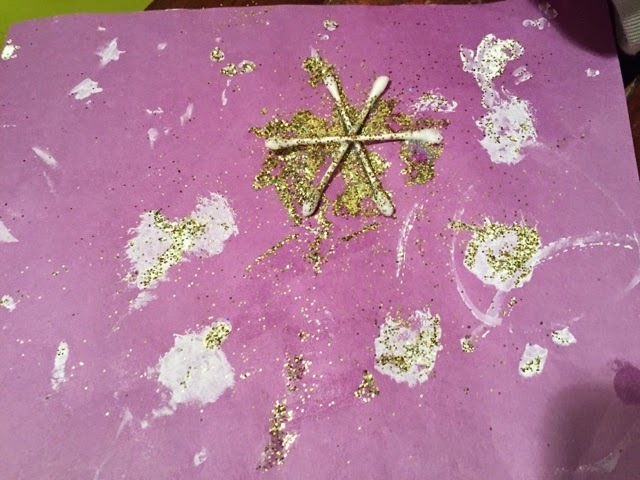 She dipped a q-tip in glue and stuck it on the paper so I helper her add a few more to make a snowflake. 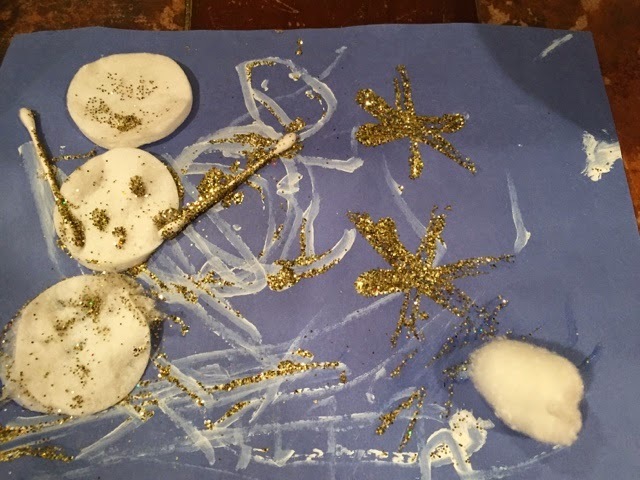 After adding some glitter to their art, they each ended up with some beautiful winter wonderlands! 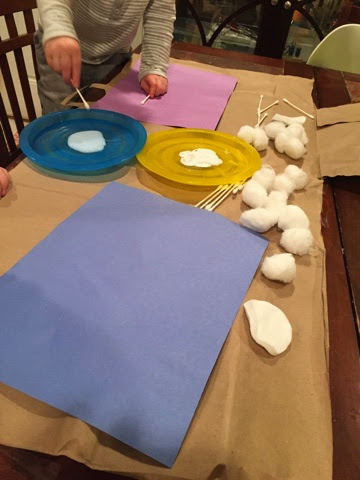 Check out our Magic ‘Frozen’ Paint and Sugar Cube Igloos for more winter fun!